I made this list in about 3 minutes. If I had ten more minutes, I could probably double it. But would it matter? Do I NEED to know all these things about a potato to enjoy the potato? Is a potato still a potato if I don’t know the miles it traveled, the name of the farmer who picked it, and the macro and micro nutrients of the potato? Yes. So when a new software tool is developed to track all this information about a single potato, is it necessary to consumers? Do I also need information for my peas and chicken as well? Probably not. But you know what I DO want to know? I want to know that my potato is SAFE to eat, HEALTHY for me, and SUSTAINABLE. So why are we adding so much more information past these three basic questions? My Answer: Because we have lost trust in the very system designed to assure these three attributes of a consumed potato are met. We are now overcompensating for that lost of trust by gaining as much information as possible to understand and monitor our own food. We have lost trust in the farmers that grow our food, the governments which oversee their production, and the markets which sell the potato. 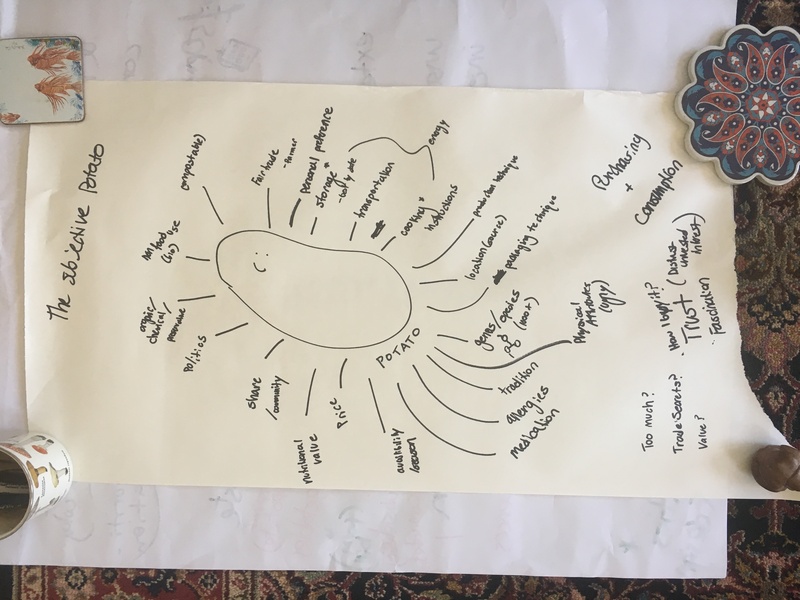 This is the potato paradigm we created at the fantastic FoodCHI workshop at CHI this past year. We wrote a lovely article that expands on this work in a much grander discussions of Food and HCI, but this example was my favorite and it has translated into many other aspects of my research in the frame of information saturation. When is information too much? When is more information unnecessary? Why do we strive for more information when the integration of that information is not productive?